Today the Company MEIZU introduced a new smartphone MEIZU MEIZU U10 and U20, where the first to use the housing made of durable glass that will replace the popular smartphone MEIZU M3 M3s Mini and Note. MEIZU U10 is a compact smartphone – the MEIZU Mini analog M3s, but in the case of glass. The novelty supports two SIM-cards. Both slots work with the Russian 4G networks, instead of the second SIM card you can insert a memory card format MicroSD, thus expanding the internal memory of 16 GB or 32 GB. This smartphone also has a 5-dyimom HD display, made by technology "GFF full lamination," with anti-scratch tempered glass with 2.5 D effect, OCTA-core 1.5 GHz MediaTek processor MT6750, 2 GB or 3 GB of RAM LPDDR3. MicroUSB port U10 MEIZU supports OTG and USB HOST. MEIZU U20 promoted by the manufacturer as an alternative MEIZU M3 NOTE but prefer the elegance of glass reliability all-metal housing. MEIZU U20 also has a combined slot for two SIM-cards with support for LTE, where instead of the second SIM card you can use MicroSD memory cards. 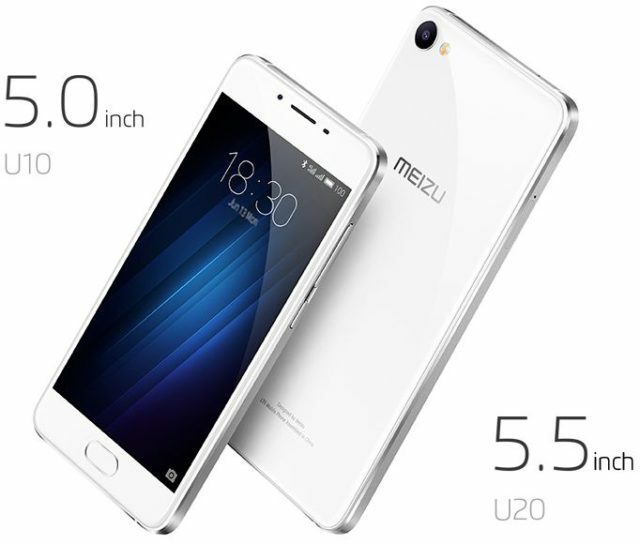 MEIZU already U20 is equipped with a 5.5-inch Full HD display, protected by glass with a 2.5 D effect, OCTA core 1.8 GHz 64-bit processor MediaTek Helio P10, 2 GB or 3 GB of RAM, 16 GB or 32 GB of internal memory. A MicroUSB port as well as U10 MEIZU supports OTG and USB HOST. MEIZU MEIZU U10 and U20 are available in four different body colors: dark grey, gold, silvery and rose gold. The start of sales of smartphones in Russia is expected this fall at a price slightly higher than the MEIZU M3 M3s and Mini Note. Information about the final cost of novelties in Russia and the start of pre-orders will be given later on the official website MEIZU RUSSIA.